Fishvember has the aim of getting more families out on the water and interested in fishing. 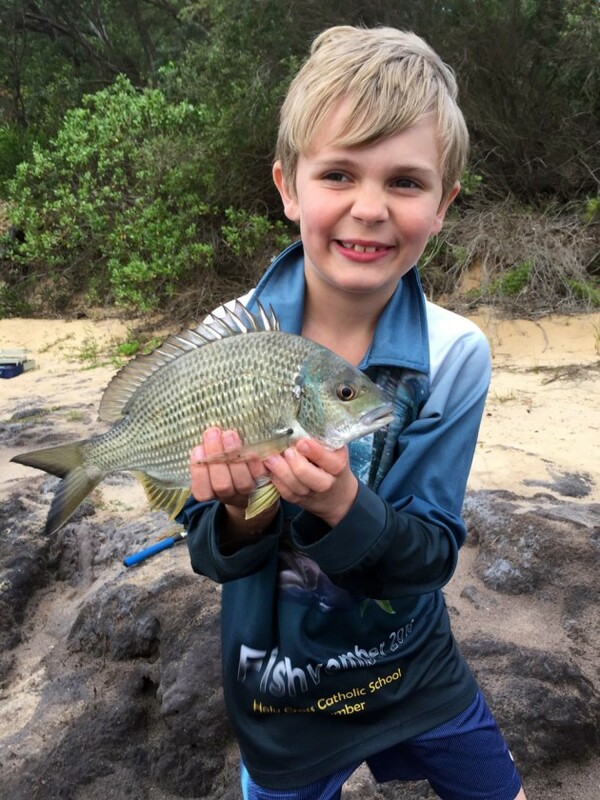 SCHOOL teachers who love to fish have been weaving fishing-related topics into environmental subjects and end-of-year activities for decades, although one Australian school has almost made fishing part of the curriculum! 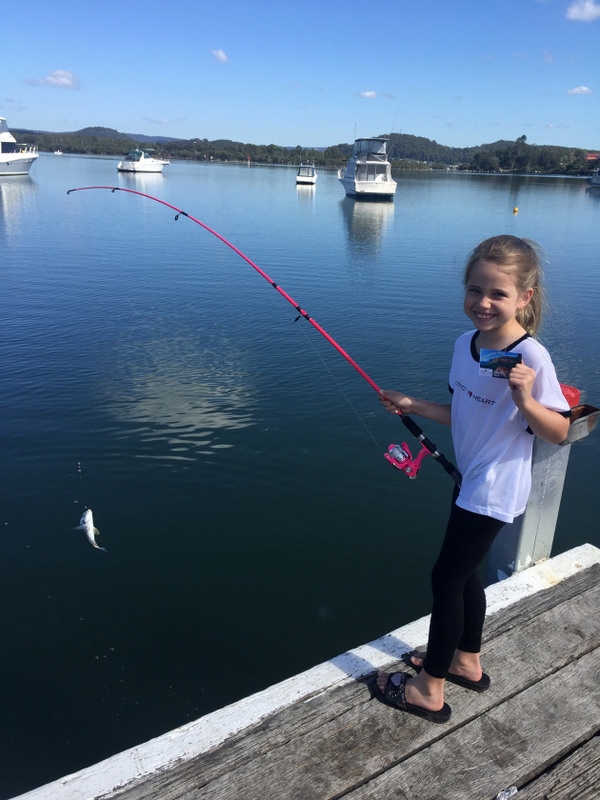 Since 2011, November has been known as ‘Fishvember’ at Holy Cross Catholic School, on the NSW Central Coast, where students are encouraged to get away from TVs, computers and devices and to go fishing with their families and friends. It’s been so successful, Fishvember 2018 – which concluded with a BBQ and prize draw at the school last Friday – attracted nearly 300 participants from more than 65 families, as well as sponsorship from tackle brands and other businesses, including Fishing World. With a focus on building community (leveraging fishing as a common interest), the only requirement to be eligible for a prize is to simply go fishing and submit a photo with the Fishvember photo tag visible (a different tag is issued each year) or someone in the photo must be wearing a Fishvember shirt. Participants can fish wherever they want, rather than being restricted to a specific area, so fishing while away on holiday during Fishvember counts too! 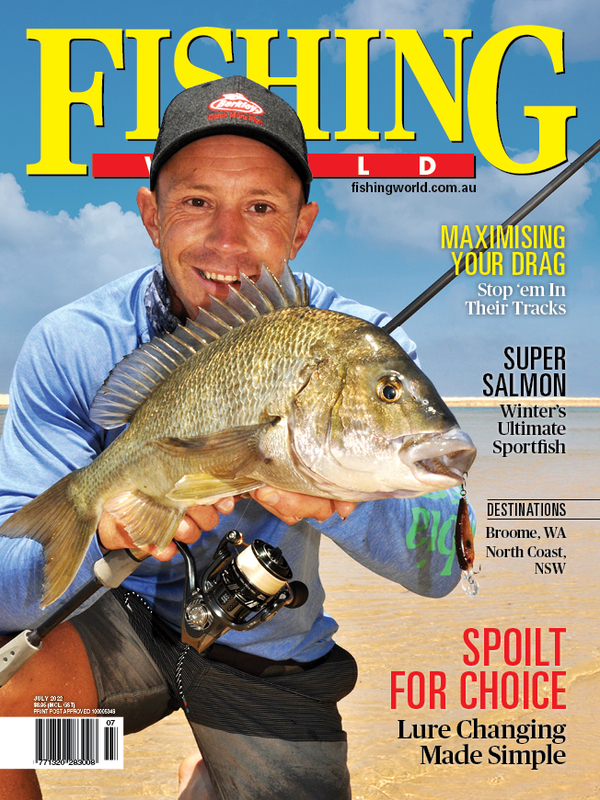 The concept was developed by Holy Cross assistant principal (and mad keen fisho) Chris Franklin, with the aim of “getting more families out on the water and interested in fishing”. Holy Cross assistant principal, mad keen fisho, and ‘Fishvember’ founder Chris Franklin practises what he preaches! “Fishing has always been part of my life and, like other parents who fish, I’ve handed it down to my children just as it was handed down to me,” Franklin said. “As a teacher, there were always students who’d run up in the playground and tell me they’d been fishing on the weekend and what they’d caught, and there were others who’d say: ‘I’d love to go fishing, but no-one can take me, or no-one knows what to do’. After the inaugural family fishing weekend was washed out in the event’s first year, it was extended to a whole month the following year. This saw a jump from 16 families being involved to 30 families, to 60 families the year after that. “Fishvember has just gone from strength to strength and people now look forward to it as it’s a really good social thing to do together,” Franklin said. Fishvember 2018 attracted nearly 300 participants from more than 65 families. 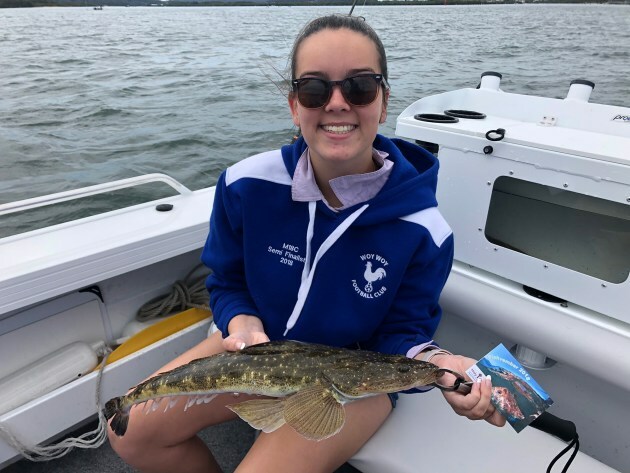 Living in a country surrounded by water, along with expansive estuary systems and a massive network of inland waterways, the social currency of fishing is critically important to the future of recreational fishing in Australia. In this light, the Fishvember concept is a true grassroots initiative that has incalculable power. 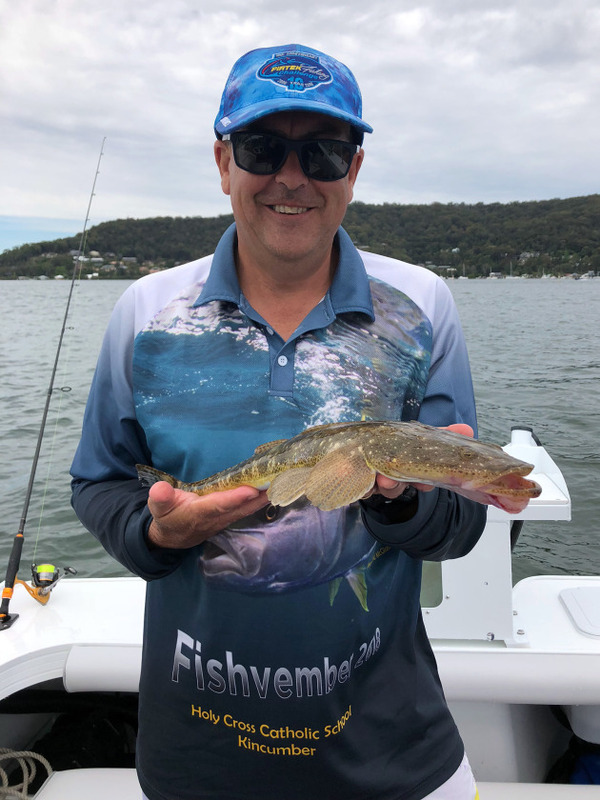 Participation rates prove it’s brought a lot of people into fishing over the past few years and the more people fish, the more they inherently learn about the environment, which can only serve to benefit the future of a pastime over five million Australians enjoy each year. 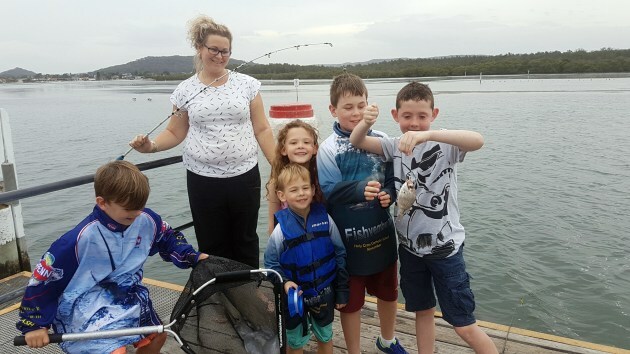 “Even if they hadn’t fished before, many parents involved in Fishvember have realised fishing is really easy and not an overly-involved thing to do… it can be as simple as grabbing the rods and heading to the local jetty for an hour, then heading home,” Franklin said. "kids are happy just to catch a fish". As a spin-off from Fishvember, Holy Cross launched a family fishing club this year too, as a lot of parents wanted to learn more about fishing to help foster their kids’ new-found passion. The website has tips, techniques and other information, while the private Facebook page allows families to share their experiences. “These families are connecting with each other outside of Fishvember and fishing together throughout the year, which is great,” Franklin said. “Fishvember is very easy to coordinate, we have all the information required to set it up and we’re very happy to share it with other schools,” he said. Click HERE to contact Chris Franklin to learn more about Fishvember. Getting kids into fishing is something they’ll enjoy forever.